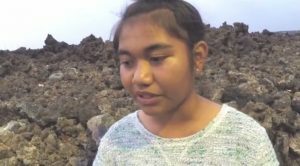 Welcome to Island Breeze Ministries – Makapala. The Makapala Christian Retreat Center is a beautiful oasis at the end of the road on the northern tip of the Big Island of Hawai’i. 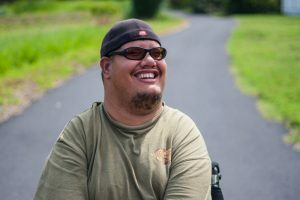 It is home to Island Breeze Ministries Hawaii, a 501-c3 non-profit organization. 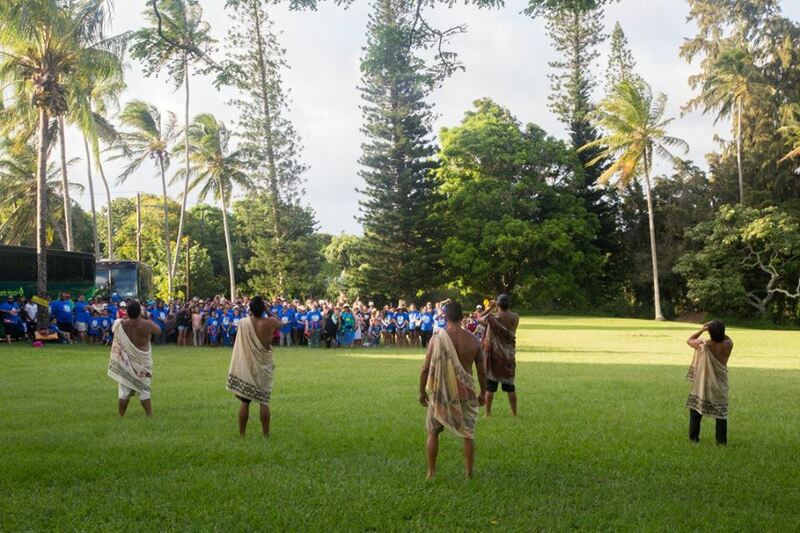 Here, we host many community projects, youth events, and health & wellness retreats, and cultural exchange programs. 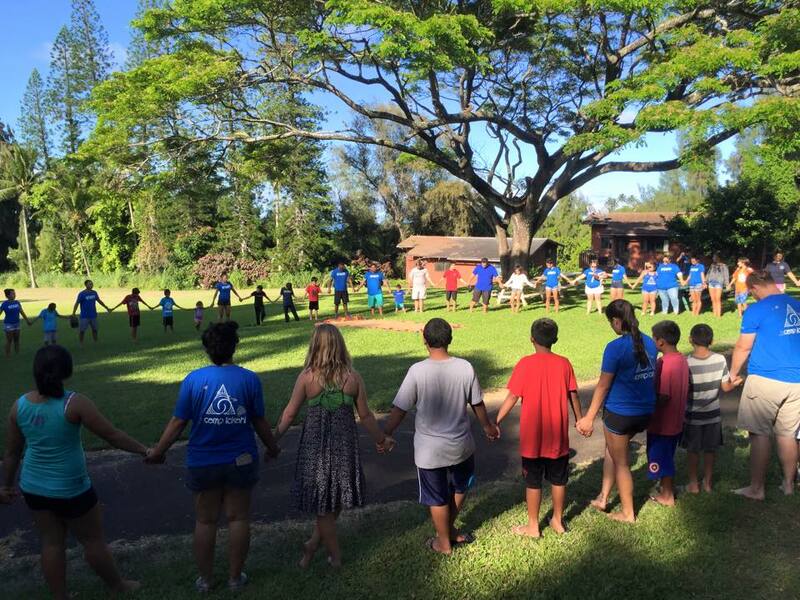 Over the years, hundreds of lives have been impacted by the people and programs here at the Makapala Retreat Center. Here are a some of their stories. We currently have numerous facility renovation projects in the works and many ongoing property maintenance needs. 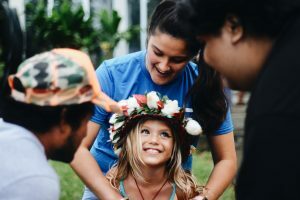 When you invest in the Makapala Retreat Center, you not only invest in the building and property, but you invest in the lives of those who come through this special place. 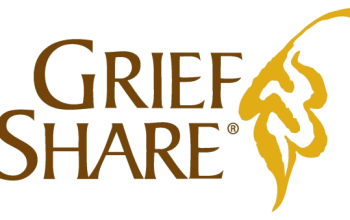 If you would like to make a monetary donation, please click here for more information. 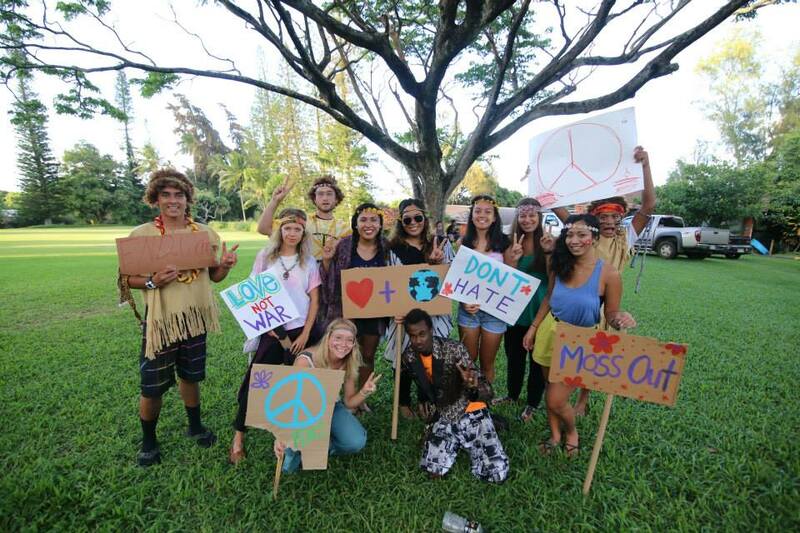 Find out what's happening at the Makapala Retreat Center. Keep updated here, on our Facebook Page, or Instagram! Camp Lokahi is a Christian based camp like no other. The campers have opportunities to take part in “track” events such as Photography, Creative Art and Film Entertainment, Music and Airsoft. Unique theme nights have become a camper favorite, with decorations, costumes, and skits. Many of the campers come from low income or at-risk homes, which brings the needs for sponsorship for several local youth. Who is Camp Lokahi for? Camp Lokahi is for all kids 9-12 years of age who are looking for a place to come during school breaks where they can have FUN, make friends and learn about God! Yes! We do a TEEN camp for 13-17 year olds during the Summer break. This is generally 3 days (2 nights) and the day activities and chapel time is more catered to that age group. 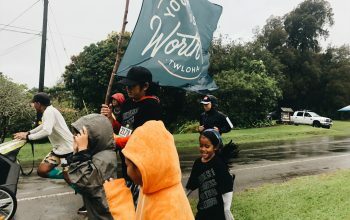 Camp Lokahi is located at the Makapala Retreat Center in Kapaau, North Kohala, Hawaii which is located on Hwy 270 (Akoni Pule Hwy) just beyond Mile Market 27. We are just 2 miles before the end of the road (Pololu Valley). 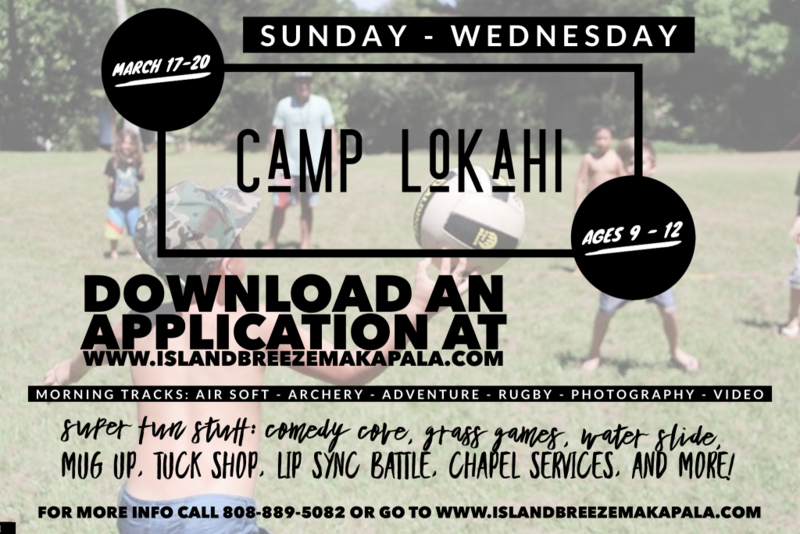 Camp Lokahi is run by the staff of Island Breeze Ministries- Makapala, who are caretakers of the Makapala Retreat Center. The mission of Island Breeze is “To know God and make Him known through His inherent gifts and expressions to the nations”. 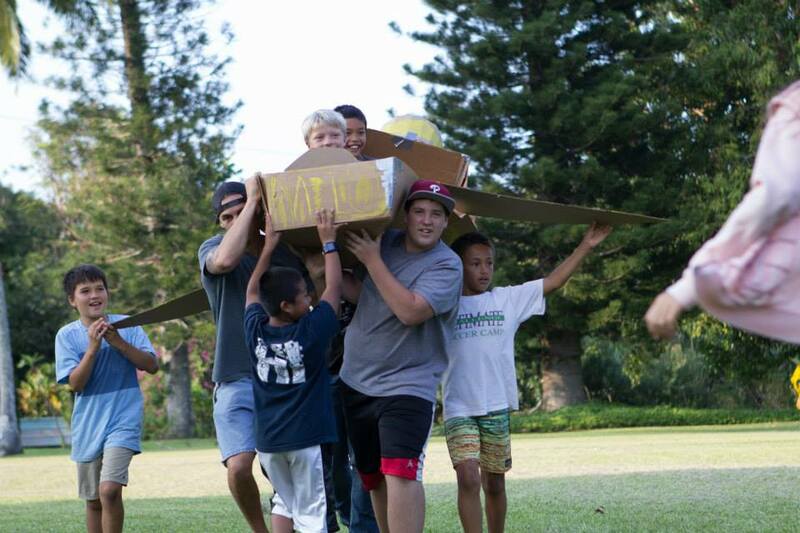 Island Breeze is under the umbrella of Youth With a Mission (YWAM). Each and every one of the staff and helpers for camp are 100% volunteers. No one makes a dime! Every volunteer comes out for one reason: To show your kids what a good time with God can look like! We have over 6 years of experience and are always trying to make new changes and keep taking camp to the next level! Send! Send your kids to camp!! Invite their friends! If you don’t have kids, send a neighbor kid or a grandchild! Serve! As already mentioned, we cannot run this camp without volunteers! We are always looking for people to commit to coming out for the 4 days to help make camp a success. That might be through counseling or heading up décor, or running a Track activity. We do ask that volunteers be at least 18 years of age, have a heart for youth and are prepared to come ready to serve! Sponsor! Each camp, there are at least a handful of kids who want to come out, but cannot afford it! We try to find sponsors for these kids. Generally, we offer them “partial” scholarships so that more kids can have assistance. Support! Even though there is a cost for the kids to attend camp, we charge pretty much exactly what it costs us in order to keep costs low for the kids! However, there are often large purchases that need to be made, etc and having the funds to warrant these purchases is one of our biggest prayer requests! 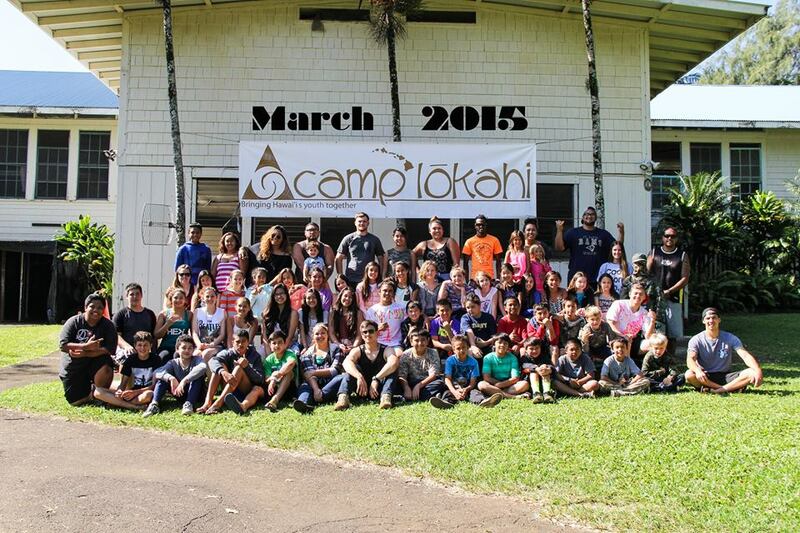 For more Camp Lokahi videos, click the link to our Camp Lokahi YouTube page, HERE.